New Good Feeder Tension Gallery Added! 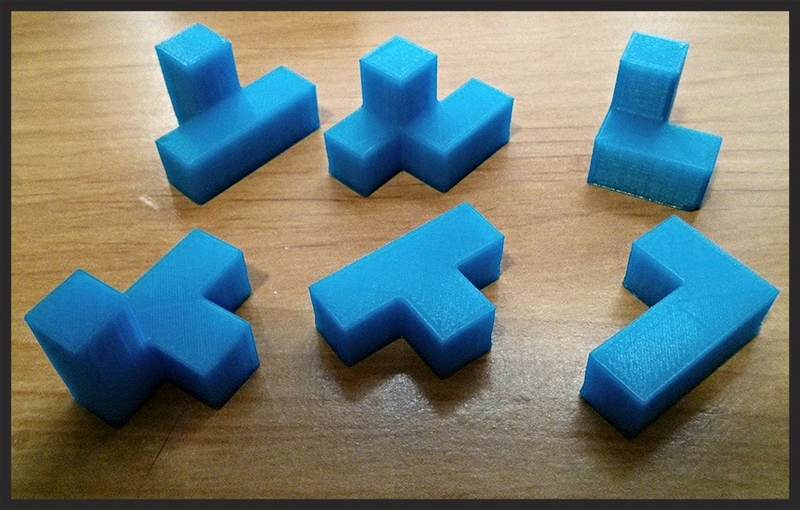 I have added a gallery called Good Feeder Tension. 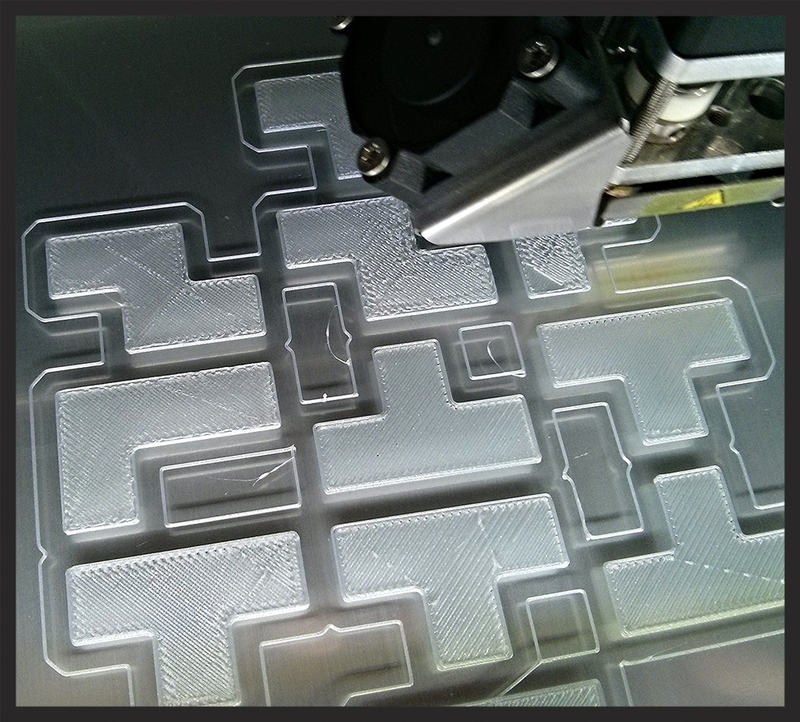 In it, I have attempted to capture what good tension on the feeder of my Ultimaker 2 looks like. 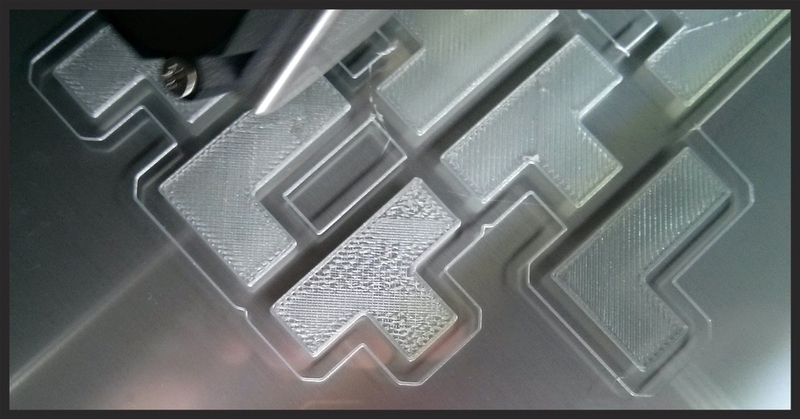 Check out the dents/pattern in the filament. See the crosshatch pattern from the knurled bold? That is what good tension looks like. Here is another shot of the good tension. 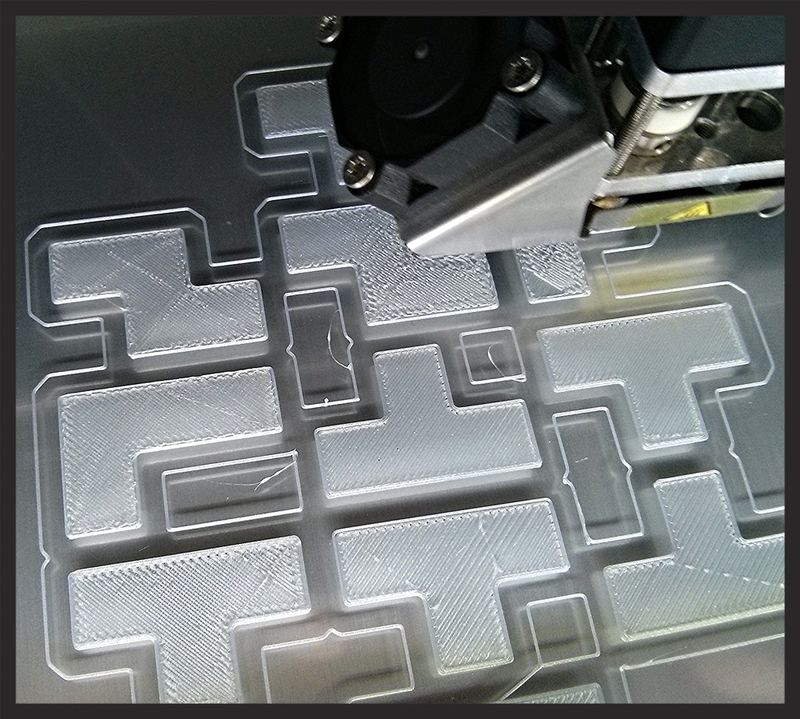 I read that you want enough tension to create the crosshatch pattern, but not so much as the deform the filament. Here is a third shot. It seems that tighter is better, but not too tight. The goal is to allow the feeder to overcome higher frictions and deal with retractions, without grinding the filament. The last third of a spool, for example is harder to pull, then the start of it. Fun with Spools Gallery Added! I have just add a gallery called Fun with Spools. 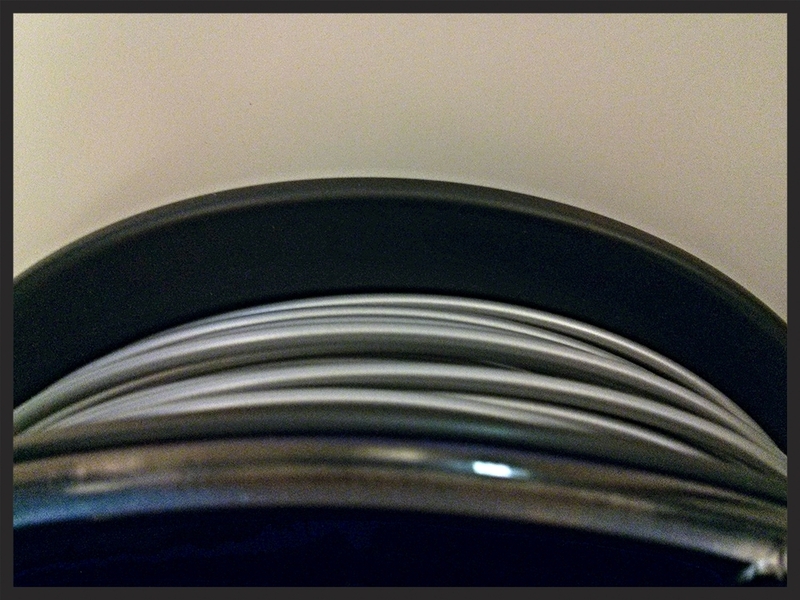 So, for most desktop 3D printing, the plastic you use comes in spools of plastic filament. This gallery is for whenever I play around with the spools themselves. 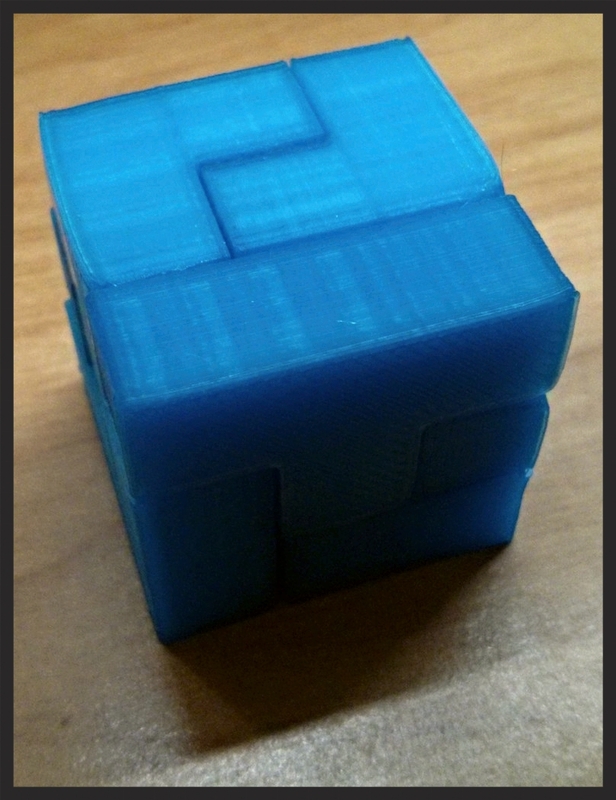 First(-ish) 3D print on my Ultimaker 2. It has begun! 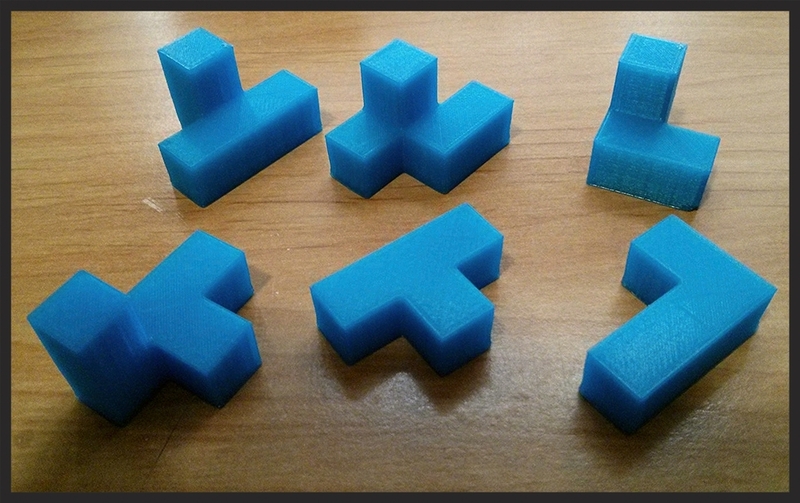 :) I have started putting up pictures and videos of my 3D printing escapades. 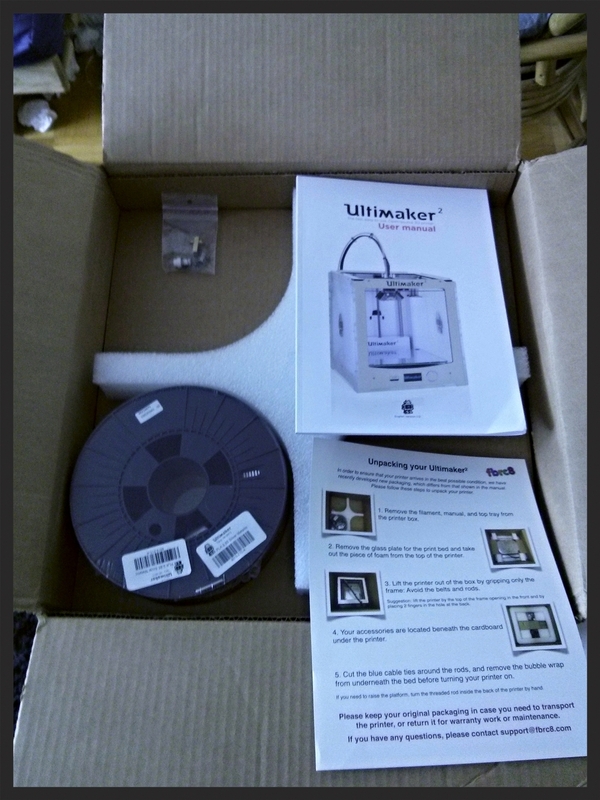 The first instalment in this story is the unboxing of my new Ultimaker 2 and doing my first print(s). 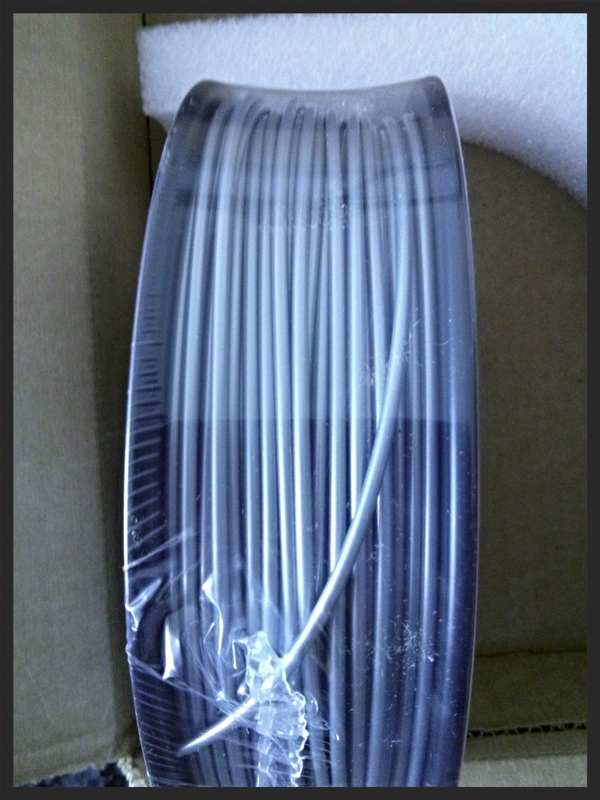 The printer came with Silver filament. I was expecting blue. Oh well. This is my first print: The Ulimaker robot, of course. This is the backside of my first Ultimaker robot. 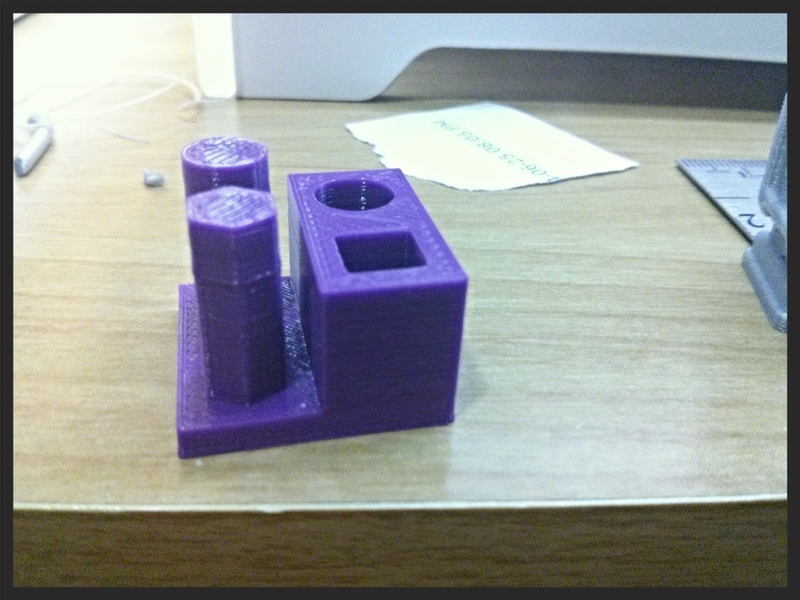 Here is my first print robot along side the factory test for comparison. There she (she?) is again.